New Suburban Fairy Tales Book Out Now! 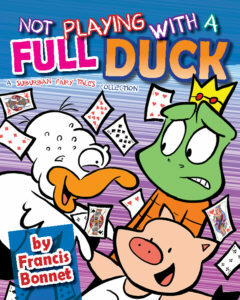 NOT PLAYING WITH A FULL DUCK, the sixth installment in the SUBURBAN FAIRY TALES series by Francis Bonnet features another hilarious helping of buffoonery in the fairy tale universe. Little Pig #3 returns with all of the classic antics that you’ve grown to love as he directs a Shakespearean play, gets catapulted into a new world resembling a video game and gets hilariously rejected by every girl he meets. Frog Prince’s story also comes full-circle as his non-relationship with Rapunzel finally comes to an end. Or does it? Forget everything you thought you knew about your favorite fairy tale characters because it’s all about to get flipped upside down! 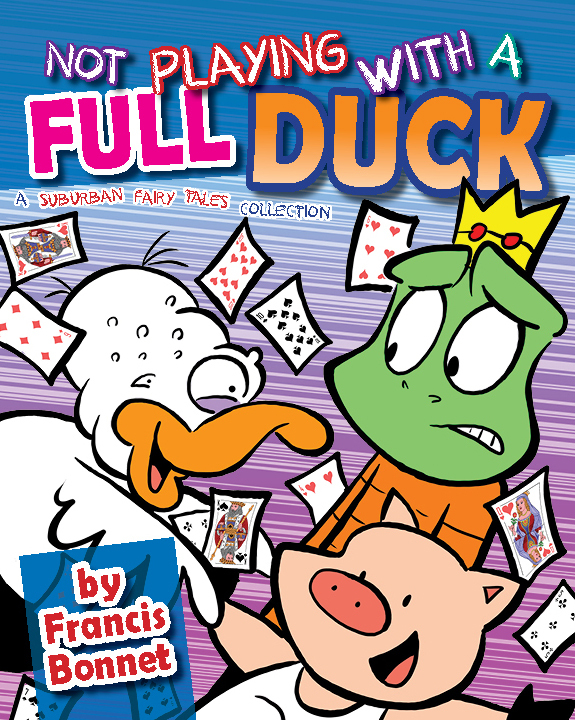 Follow these classic characters as they awkwardly stumble through the hallways of their high school in the best SUBURBAN FAIRY TALES book yet! Laugh along with them or at them. 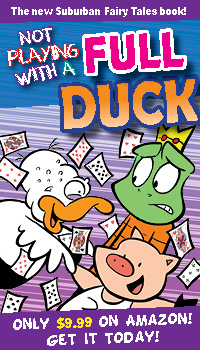 Either way, NOT PLAYING WITH A FULL DUCK is guaranteed to tickle your funny bone! BONUS CONTENT INCLUDES BRAND NEW, NEVER BEFORE SEEN COMIC STRIPS THAT AREN’T PUBLISHED ANYWHERE ELSE! 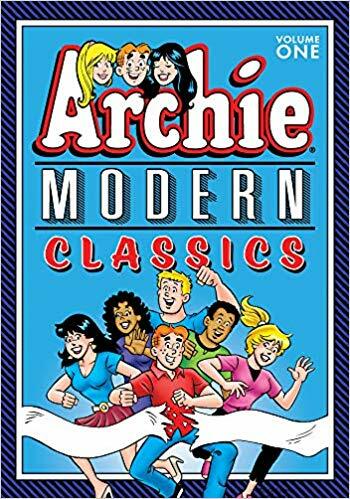 On sale starting today is Archie Modern Classics Volume 1, a new trade paperback which features a compilation of the best classic Archie Comics stories from 2018! The full list of writers include: Dan Parent, Alex Simmons, Angelo DeCesare, Ron Robbins, Bill Golliher, and Francis Bonnet (that’s me). The full list of artists include: Jeff Shultz, Bill Golliher, Bill Galvan, Pat Kennedy, Tim Kennedy, Dan Parent, Jim Amash, Bob Smith, Rich Koslowski, Glenn Whitmore, and Jack Morelli. You can get the book now from Amazon, Barnes & Noble, or your favorite comic book shop! 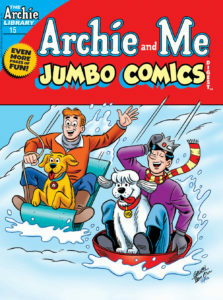 I’ve got a new story appearing in this month’s Archie and Me Jumbo Comics Digest #15. 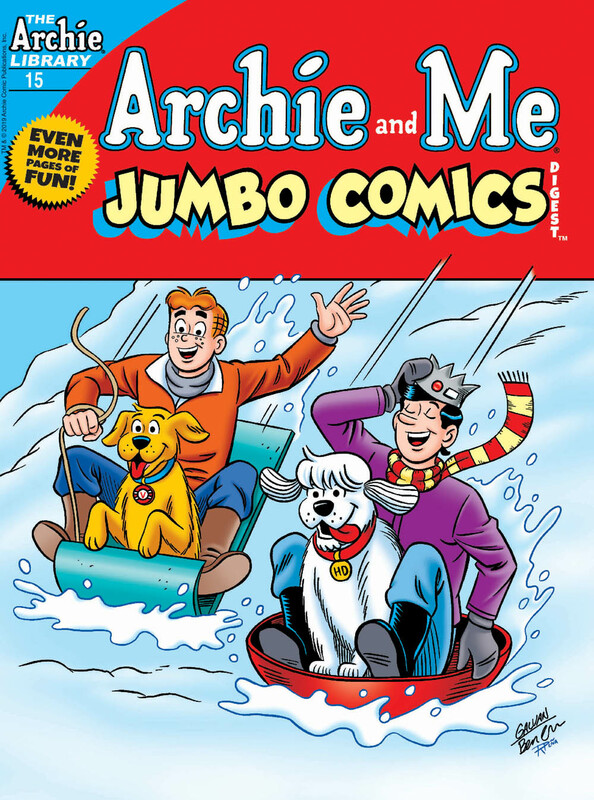 The book actually went on sale last week, so you can get it right now at your local comic book shop or get the digital version off the Archie Comics app! BRAND NEW LEAD STORY: “Hamburger App Hunt” Dilton’s developed a smartphone app as that tracks golden hamburgers that have been hidden all around Riverdale—and whoever finds the most wins a free month of food from the Chock’lit Shoppe! 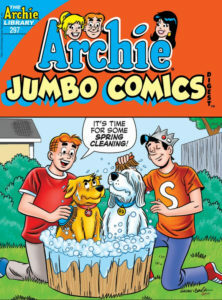 Jughead’s determined to be the winner! 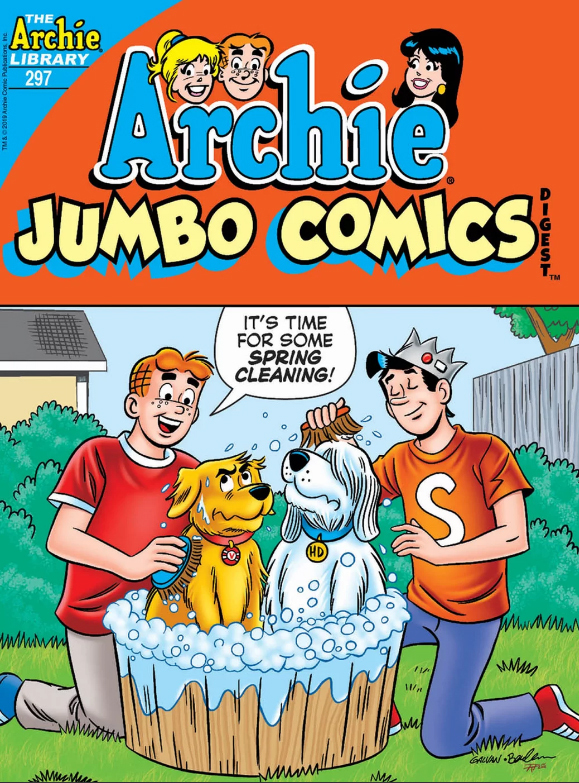 I wrote another new story for Archie Comics this month — this time appearing in Archie Jumbo Comics Digest #297. 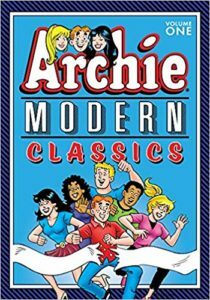 The book goes on sale today, so you can get it right now at your local comic book shop or get the digital version off the Archie Comics app! BRAND NEW LEAD STORY: “Lord of the Games” – Archie has been spending all his time lately playing the new video game “Forknite” and NOT with Veronica. Upset, Veronica decides to see what the big fuss is all about and quickly catches Forknite Fever!